Walking with Jesus: Day 35: Acts 11:1-18 & Prov. 14:19-27 - When Should We Humbly Submit to Revelation? Day 35: Acts 11:1-18 & Prov. 14:19-27 - When Should We Humbly Submit to Revelation? When Should We Humbly Submit to Revelation? For Peter to overcome his own prejudices and preach the Gospel to Gentiles in the home of a Gentile was a major step forward for the Gospel. Obviously, Peter did not come to this point lighty. We could say that God dragged him there through overwhelming direct revelation. Now Peter had to return to Jerusalem and report what God had told him, what he had done and what was the result. To say Peter's actions not well received at first is an understatement. The members of the "circumcision party," those who believed in observing the Jewish cermonial law, were shocked and outraged. They "criticized him, saying, 'You went to uncircumcised men and ate with them.'" (vv. 2-3) Only after Peter carefully recounted the revelation God had given him and the supernatural work that accompanied his preaching ("the Holy Spirit fell on them just as on us at the beginning") did the circumcision party relent and accept the joyful news that God had indeed granted salvation to the Gentiles. 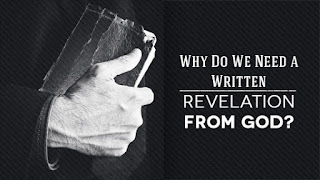 This raises an interesting question: When should we submit to revelation from God? When should we be open to changing our views and practices based on a word from the Lord? Charismatics and Catholics both make claims to ongoing revelation from God. Charismatics believe it comes through the ongoing gift of prophecy given to certain people. The Roman Catholic Church believes it comes through church councils, like Vatican 2, and sometimes through the Pope, when he speaks "ex cathedra," with the full authority of the apostolic office they believe he holds. 1. It came through someone with authority directly given by Christ. Peter was an apostle, one who had seen the risen Christ and one who was personally commissioned by Christ. This kind of authority cannot be claimed by anyone in the church today. 2. Peter's revelation from God was confirmed by an outward sign witnessed by many. The Holy Spirit was visibly and unmistakably poured out on Cornelius and his household. No one claiming to speak for the Lord today has the same kind of miraculous accompanying signs. Chasmatics may claim miracles and gifts of healing, but such claims are often false and are not as verifiable as the sign that accompanied Peter's preaching. Revelation from God comes through those commissioned by God and is almost always accompanied by signs, in some way. It is valid and can be validated. For these reasons and many others, the only time we should submit to revelation and change our views or practices based on it is when the revelation comes from the written word of God, the prophetic word made sure by God's testimony. If I am wrong in whar I believe or how I worship, I want to be corrected by Scripture. I want to be shown my error and made right. God has graciously done that for me many times in my life. We should all strive to be open to such biblical correction. But as Luther said, "my consceince is held capitive by the word of God" and no church council or charismatic preacher can steer it in a different direction. Heavenly Father, Your word is truth. Lead us, Your people, into truth, as Your Spirit teaches us through Your word. In Jesus' name for for His glory we ask, Amen. but it often seems like the wicked are prospering and the righteous are trampled. beyond what we can see. Lord, in this world, it is the rich who have "friends,"
but their friends love their money more than them. and generous hands to meet the needs of the poor. but we are called to work and seek wisdom. spiritual fruit that brings Your glory! whether out of flattery or self-preservation. Let us speak only the truth, in Your love. walking in grace-empowered obedience and giving life to our families and neighbors. Lord, hear our prayer, in Jesus' name, Amen.